FHIR Interoperability and TA+ Workflow meet the latest HIE Standards and Definitions for foundational, structural, semantic, and organizational requirements. AAI offers HL7 and FHIR Consulting Services. Arrendale solutions are used across the globe by Business Process Organizations, Practice Management Groups, Health Networks, and PACS Systems users. AAI offers Interoperability and Integration Consulting Services. AAI Connects the World Through The Cloud. AAI’s unique approach combines the best of a workflow engine with interoperable architecture to allow for the free flow of work and data between disparate systems. Arrendale’s robust front-end applications for speech recognition, clinical documentation, and document management can receive from and transmit to any other platform, system, or service. 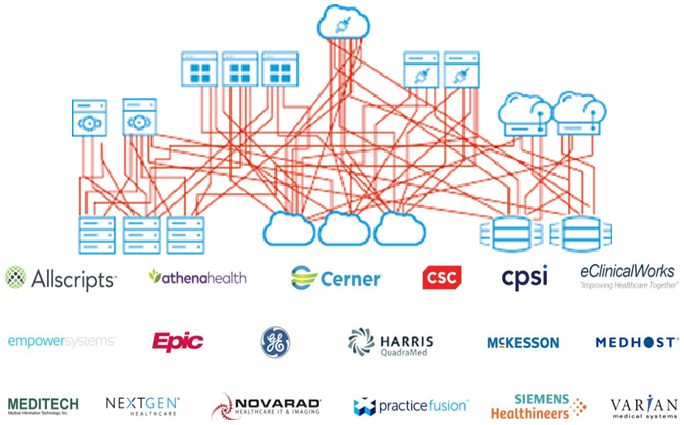 Arrendale’s Workflow platform, TA+, utilizes the latest HIE architectures and standards like Fast Healthcare Interoperability Resources (FHIR) to insure relevant data can be shared effectively and securely across the complete spectrum of care. TA+ Workflow interoperability facilitates connections and integrations across these systems to occur regardless of the data’s origin, destination, or the application employed, and ensures the data are usable and readily available to share without additional intervention by the user. Put Arrendale Associates’ Engineers and Software to Work for you. Allow us to solve your integration challenge. We will bridge the gap.